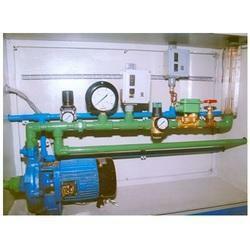 We are engaged in manufacturing and exporting a vast array of Pneumatic Instrument Panels. By using the best grade raw materials and advanced technologies, these panels are developed in accordance with the industry standards. The materials we have used in making these panels are scoured from some genuine and reputed vendors of the industry. 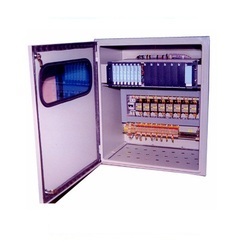 These panels are designed for various electrical works of different industries. The panels we offer are resistant to electrical leaks and provided with proper corrosion resistant coating. Our experts follow advanced engineering techniques during the panel development process and ensure to come up with international standard results. The metal, electrical parts, and other components used by us during production and are of premium grade for providing the clients with excellent standard panels. Growing demand has enabled us to manufacture a commendable array of Instrumentation Panel for our worldwide clients. These panels are manufactured using high-end technology to meet varying applications specific requirements. Known for their brilliant electrical & thermal properties, our offered Instrumentation Panel is widely used for process control applications in diverse industrial sectors. Further, clients can avail these panels from us at economical prices. Looking for Pneumatic Instrument Panel ?